Summary: Back when Stiles was in high school Beacon Hills didn't have a crime lab, because they simply didn't need one. Those were the days. Summary: College AU: Jared enjoyed the casual relationship he had going with Jensen just fine, but he couldn’t help wanting more. And then Danneel showed up, just to make things a little more complicated. Summary: An ecstasy of fumbling, or, a Brad/Nate love story in seventeen parts. Summary: Harry pretends to be Perry to take a case. For some reason, this does not go smoothly. Summary: It was an accident, the first time. Summary: Ray's home, but he's off. His head's wired wrong. Summary: "That had better be my own hand on my thigh right now, suddenly gone all leached of melanin and psycho-possessed so I don’t know it," Tony says evenly. He doesn't look down at the grubby fingers wrapped just above his knee, twitching slightly. It is entirely possible that would be taken as encouragement. "Else I'ma cut it off with my KA-BAR. Might do it anyway." Podficcers of other fandoms requested to join in the fun as well! The Project: To create a podfic version of this fan created alternate season of Supernatural. The original story is massive in it's bulk, some 600K+ words, too much for one individual to do, so we are bringing together a team of podficcers to work together to do the impossible. The Invitation: We are inviting podfic readers, regardless of fandom, to be apart of this project. Experience with doing long!fic podfic is greatly appreciated, and will help as this IS a massive project and each podficcer will end up with enough episodes that they'll record about the length of a novel. There are also sections of the story that are pre-Dean/Castiel if any Wincesters (Sam/Dean fans) would like to sign up, as we've already had a few make inquiries if they can help and the answer is always YES! With so many WONDERFUL podfic readers out there scattered across various fandoms, it would be wonderful if we could all work together. Summary: Pepper's first hour as Tony's PA.
Summary:Ryan never knows when he's going to hear it, whether Spencer is going to give someone the word right away or wait almost the full week before handing it out. He doesn't know how many people will get it, or who they'll be, or where they'll use it. Author's Summary: Written for spn_j2_xmas 2012, for strangeallure who wanted air travel!AU! So here is movie-star!Adrianne/stewardess!Genevieve. Hope this suits, lovely! 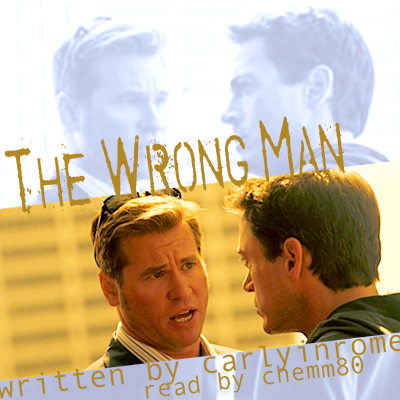 sisi_rambles - MCU: Third Time's...the Charm?